With a hire car potentially sitting around doing nothing for the day we had contacted Ricky at Finesse to see if it would be possible to do a test cruise. A few things were happening at the yard on Tuesday, but as long as they had been able to take NB Oleanna out themselves to check her out then we’d be welcome. Ricky had heard from the battery distributors. The good news was that a battery had been made, but it was going to take longer to arrive than first thought! So the two week deadline couldn’t be met. However they were offering to loan us two AGM 12 volt 100 amp hour batteries that would fit in the existing battery tray until the lithium one arrives. This we thought on over night. 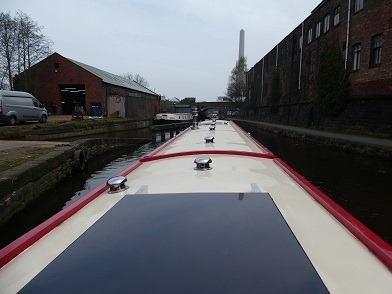 On arriving in Sheffield the yard felt bare. Whenever we’ve visited before there have been shells everywhere, but today it felt quite empty. 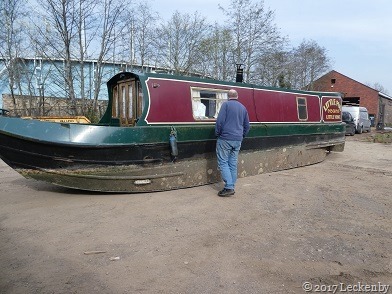 An old narrowboat had arrived, this had been bought by the owner of NB Muddy Waters along with it’s mooring in London. 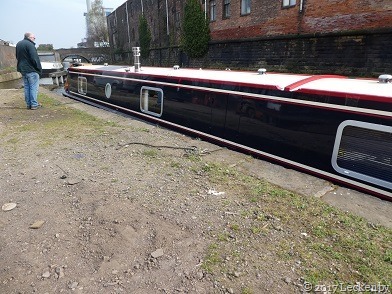 This boat was now surplus to his requirements so was going to be blacked and then put up for sale.Only one other boat was on hard standing, but then there were two in the fabrication shed, two in fit out and we didn’t get to see the paint shed. NB Oleanna had been turned round in the morning and was waiting for us. 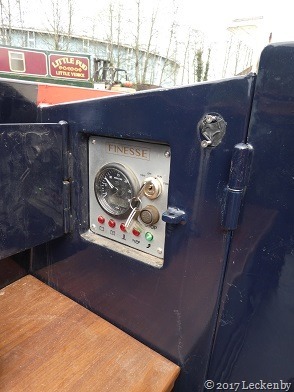 A coat of paint had been applied to the inside of the weed hatch. 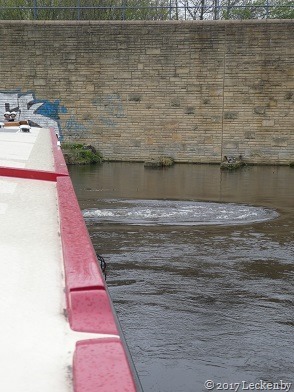 Our current weed hatch opens into the engine bay and the locking lid is above water level. However on Tyler Wilson shells the weed hatch is totally separate to the engine bay and the locking lid is below the water level. This means that there is no way you would be able to flood your engine bay having left the lid loose as on our current boat. Also the lid being under water helps reduce noise. 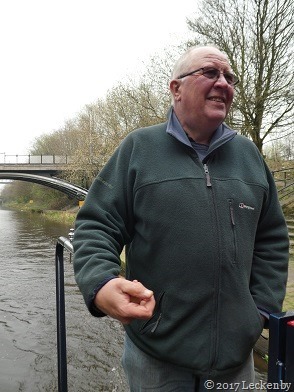 Chris handed over the ignition key to Mick, no float on it, he had to be careful not to drop it in the cut. 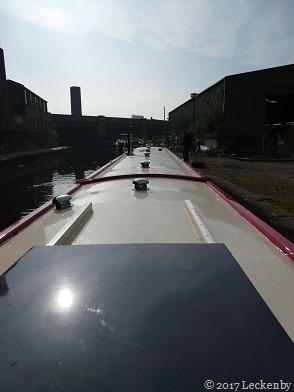 Once we were on the stern, Mick started her up, a quieter engine than NB Lillyanne our current boat. Chris untied the bow and gave her a push, Ricky the stern. Once all four of us were on board Mick put her in gear. The test cruise wasn’t far about 2.5 miles round trip towards the top of the Tinsley flight. In tick over she glided through the water effortlessly with very little wake, the bow wave was almost non existent. This may change when her water tank is full though. Increasing the revs brought with it a bit of singing from below. Ricky thought that the stern gland greaser might need an extra turn as it was all bedding in. The engine hours only read 1.6 when we set out. With the revs higher the noise vanished. The morse control was easier than our current one which in comparison is quite stiff. 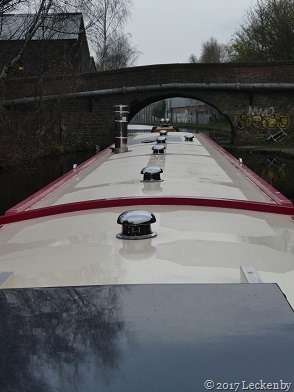 In fact watching Mick it seemed like he was hardly making any effort at the helm and she was responding. He also had a very big smile on his face, we were at last moving on our long awaited for boat. Reaching the winding hole the bow thruster had to be tested, so the girlie button was pressed for the first time by us, Ricky had used it a lot to turn her in the basin earlier in the day. Sorry to those from our old syndicate of NB Winding Down, but NB Oleannas’ bow thruster is far more powerful and she responded, turning with just two very short blasts. On our return Mick brought her to a halt and then popped her in reverse. After a little bit of initial straightening up she moved through the water as straight as a die in reverse, we were impressed as that never happens, it might be the only time! By the time we returned there was a little bit of rudder judder, most probably something around the prop, but she still responded well. Mick brought her in very slowly and carefully so as not to leave any marks on the gunnels. A very enjoyable test even if it had started to rain part way. 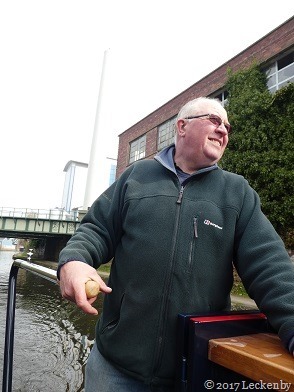 It was a shame that I’d not had a turn on the tiller, but as I’m still wearing a protective boot on my broken foot and on crutches it would have been a bit hard. When it had started to rain I closed the back doors into the cabin and pulled the hatch shut. This did make me realise that the only way to have both doors shut was if they were locked either with the yale or bolted from inside. We don’t cruise with the back doors open due to our cat (she’s not trusted up on deck) and it would be a pain to always have to have a key with us. So Ricky and Chris are going to see if they can add a catch or a bolt that is accessible from the top of the doors to keep them closed. We chatted through the battery situation again. Having two AGM batteries would mean that we could move on board, we’d soon work out if our power needs exceeded what they could supply us with. Running the batteries low wouldn’t be a problem to us in the long run as we’d be handing them back. 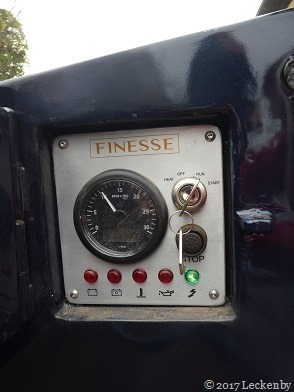 When the second battery arrives someone from Finesse would come out to meet us to fit them, most probably have to adjust the ballast. At least it would mean that the engine bay wouldn’t have to be reorganised around different batteries. So decision made. We checked through various items with Ricky to see if they were included. The plank and pole rest should arrive in the next few days, but because of Health and Safety we need to provide our own planks and poles. 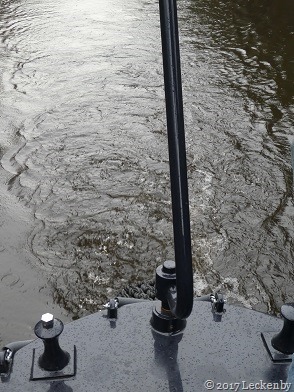 She comes with bow and stern fenders and ropes (but no centre line), Pipe fenders on each side attached to the gunnels. These are fine when you are moored and help protect the paint work when coming in to moor, but we have gained at least three of these around our prop from others that have lost them whilst in locks. We could lift them onto the gunnel, but I have to say we’re more likely to remove them and attach them to fender hooks and hang them from the grab rail once moored so there is no chance of loosing them or them getting in the way. So a shopping list has been made. Not far off now, a few small jobs before handover. We just have to decide on how to get her to meet NB Lillyanne. No boats are due to be craned in or out in Sheffield so that would mean we couldn’t split the cost of a crane at one end. 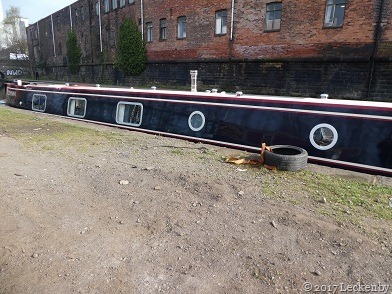 With transport and two cranes we are likely to be looking at around £2000 to move her. Another option is to hire a car or van and move cruising essentials on board (including the cat) and cruise her down the country. This however is dependant on the recovery of my broken ankle, as I don’t want to miss out on her first cruise, I need to be able to stand at the helm and drive with confidence. This however will mean we have to think creatively about her launch and how to celebrate with our friends. This entry was posted in Uncategorized on 31st Mar 2017 by pipandmick.